Home > Products > Why Do We Fight? Battles, protests, standoffs, strikes. We hear about them all the time. On the surface, a battle and a protest don't seem to have much in common, but they're really just two ways of handling a dispute. One uses violence, the other uses signs and picket lines. But both start as a disagreement between two groups of people. Both are conflicts. Since it's impossible for people to agree on everything all the time, conflicts naturally pop up every day, all over the world. Sometimes they turn into full-blown wars, which can be a lot trickier to understand than the conflicts that pop up in everyday life, but every conflict has some things in common. Using real world examples, Why Do We Fight? 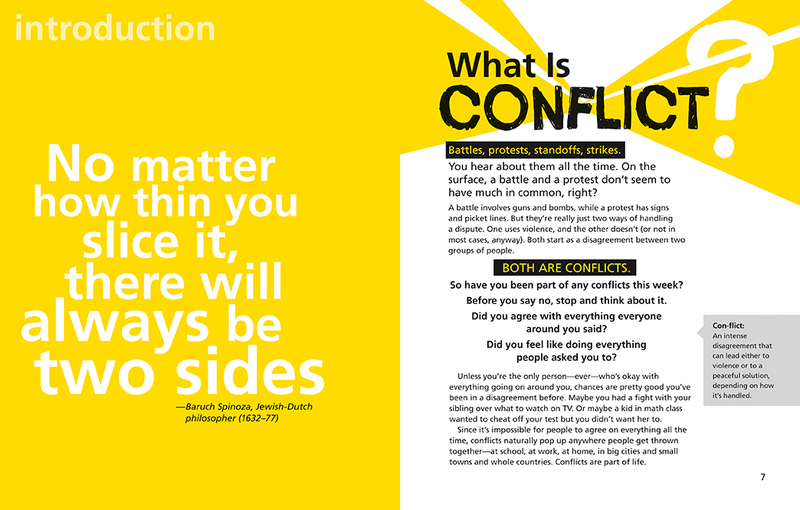 teaches kids to recognize the structures, factors, and complex histories that go into creating conflicts, whether personal or global — as well as the similarities between both. They'll be given tools to seek out information, enabling them to make informed opinions while learning to respect that others may form different ones. 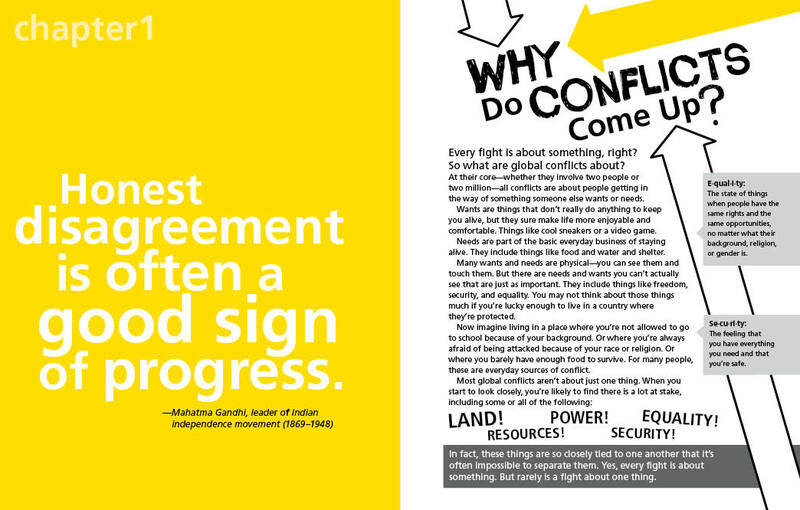 From culture clashes and trade disputes to disagreements about how to govern, Why Do We Fight? insists that the key to fulfilling humankind's wish for "world peace" lies in how we choose to deal with conflict and provides a genuine cause for optimism in the face of an at-times frightening world. "A useful tool for the classroom teacher, Why Do We Fight? will not only provide a springboard for lively group discussions, but it will also help middle school students to examine conflicts from several perspectives."